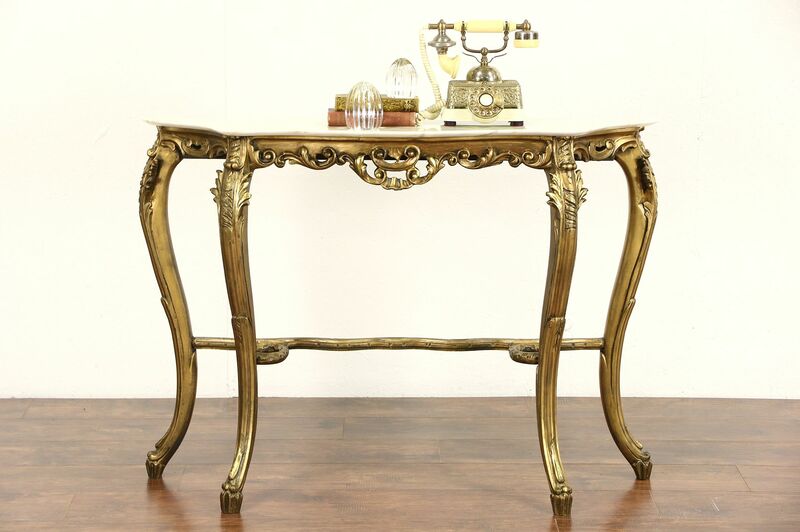 This hall console console table was carved in Italy in the 1930's, and has a marble top. The original burnished gold finish is in extremely fine condition on this palatial vintage furniture. Gracefully curved front and sides are beautiful. The shaped marble top has been polished and sealed to resist stains. Size is 45 1/2" wide, 14" deep and 33" tall. The matching mirror in photos has a slightly brighter finish and is priced and sold separately, call or email for availability.